Please ensure you advise the hotel that you are attending Sign Expo Canada 2018 and would like the special discounted room rate. 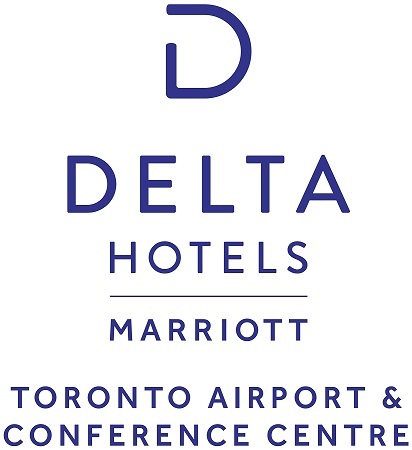 Modern sophistication and spacious comfort await you at Delta Hotels Toronto Airport & Conference Centre. Recently renovated and filled with premium amenities, our hotel offers a convenient home base for your Toronto adventures. Chic rooms boast free Wi-Fi, oversized beds, ample desks and complimentary bottled water; many also feature sofa beds. Perks at our Toronto hotel include a gym, indoor pool and whirlpool. Indulge in our excellent restaurants, which offer a wide range of cuisines. We also offer a free shuttle to and from Toronto Pearson International Airport, as well as easy access to Toronto Congress Centre, Woodbine Racetrack, The International Centre and the Downtown core via the UP Express Train. You can change or cancel reservations within 24 hours of booking at no charge. Further changes or cancellations can be made up to 2 hours prior to the flight; please note additional fees or charges may apply for each guest depending on fare class booked and differences in fare. Check out our service fees https://www.westjet.com/en-ca/travel-info/fares/service-fees page for more information. Please book online or through your travel agent using promo code “SACACE”. The promo code is intended for use by conference attendees and organizers and is not meant for distribution outside of authorized channels. Porter’s fare rules and conditions apply. For any questions regarding Porter’s services or any pre-travel concerns, contact 1-888-619-8622.